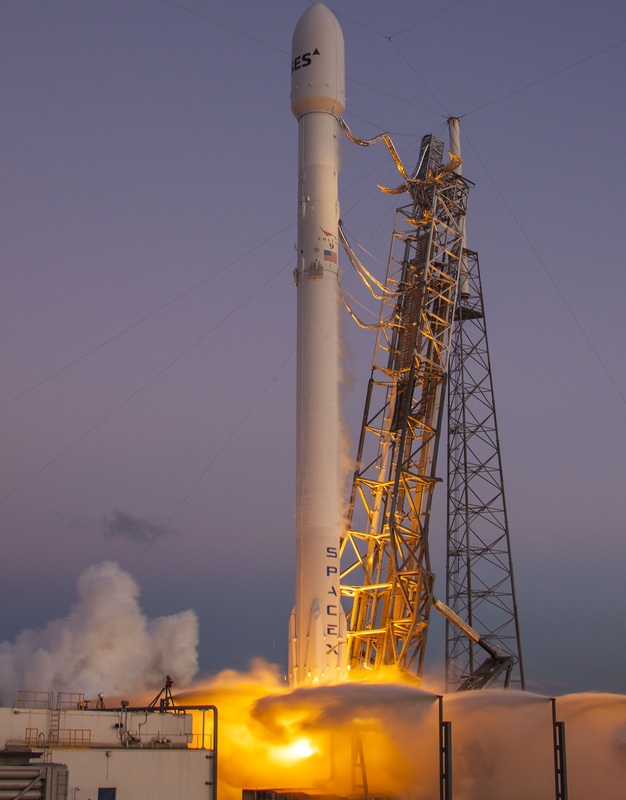 SES-9, weighing in at 5,300 Kilograms, put Falcon 9 to the test as it demanded the entire performance of the new Full-Thrust version of the launch vehicle, introduced in December on the Orbcomm G2 mission. 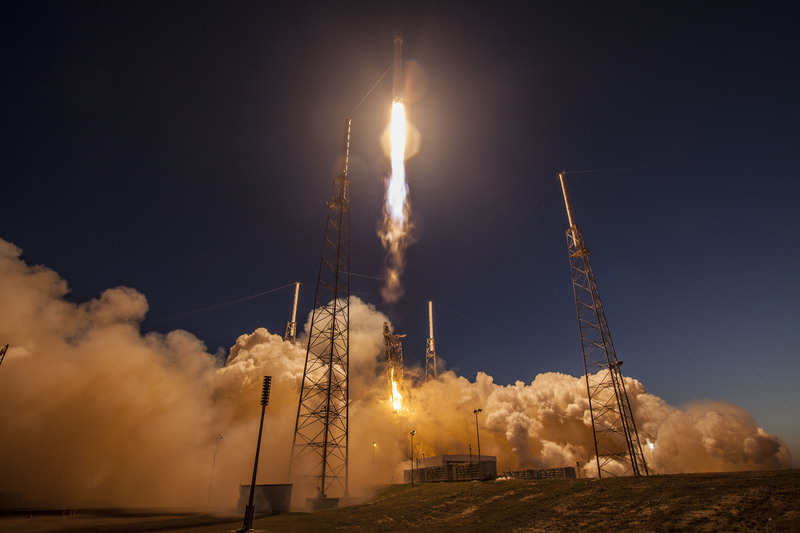 As a performance-limited mission, this flight showed some of the difficulties arising from the use of sub-cooled Liquid Oxygen propellant to maximize the performance of the Falcon 9, resulting in a series of launch scrubs before the 70-meter rocket finally got off the pad on Friday. 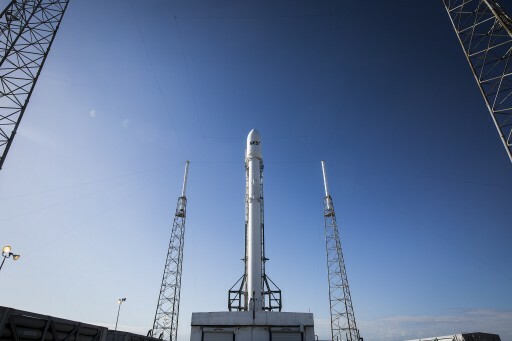 Falcon 9 rose from its pad at Space Launch Complex 40, Cape Canaveral at 23:35 UTC under the loud thunder of its nine Merlin 1D engines, lifting the vehicle with a total thrust of 694 metric-ton-force. With liftoff shortly after sunset, Falcon 9 headed into a brief period of illumination, creating a spectacular sight for those on the ground. Given the favorable sun angles, the ascending rocket and its colorful exhaust trail could be seen across central Florida. The first stage completed its primary task two minutes and 38 seconds into the mission, having accelerated the stack to a speed of Mach 6.8. 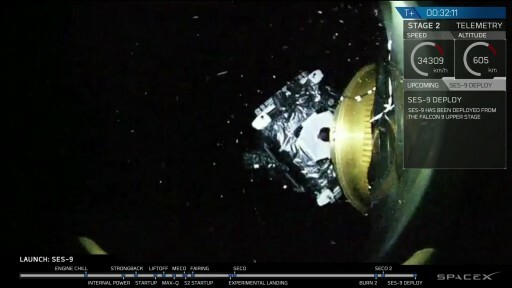 Four seconds after MECO, the first stage made a clean separation, occurring 65 Kilometers in altitude, starting a high-speed return to Earth. The second stage assumed control of the mission, igniting its MVac engine on a burn of six minutes and 12 seconds to push the stack into a Low Earth Parking Orbit. No issues were encountered during this initial burn and Falcon 9 achieved an orbit of 160 by 531 Kilometers for a coast phase of 18 minutes to set up for the critical apogee-raising maneuver. While the second stage arrived in orbit, the flight of the first stage came to a dramatic end in the Atlantic Ocean when the booster impacted the Autonomous Spaceport Drone Ship in a very hard landing. 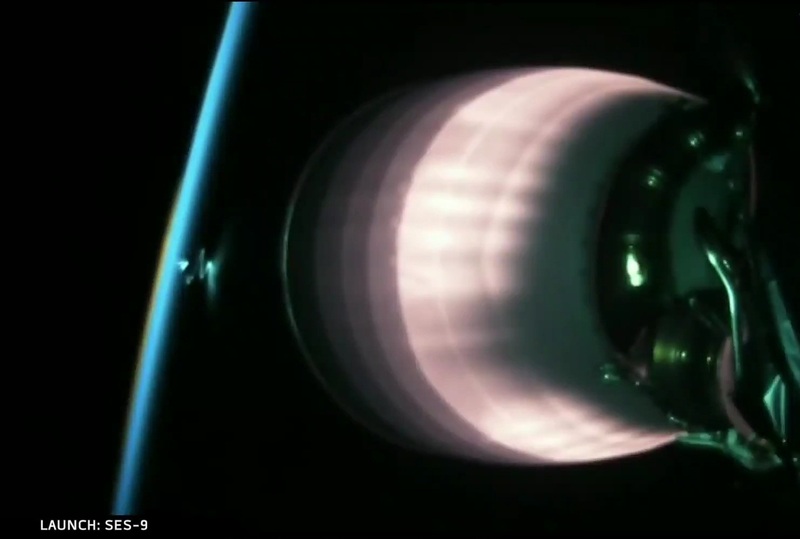 Expectations for success in this high-energy return of the booster were kept low by SpaceX given the high separation speed of the stage and the limited fuel reserve that only permitted the booster to conduct a ~17-second braking burn at re-entry using three of its engines. The booster was able to survive re-entry and managed to guide itself towards the Drone Ship, located 660 Kilometers from the launch site, but ultimately, the risky landing burn involving multiple engines did not end with a successful touchdown. It is understood that the Drone Ship “Of Course I Still Love You” suffered some damage when the booster came in hot and heavy, though to what extent is still unclear. 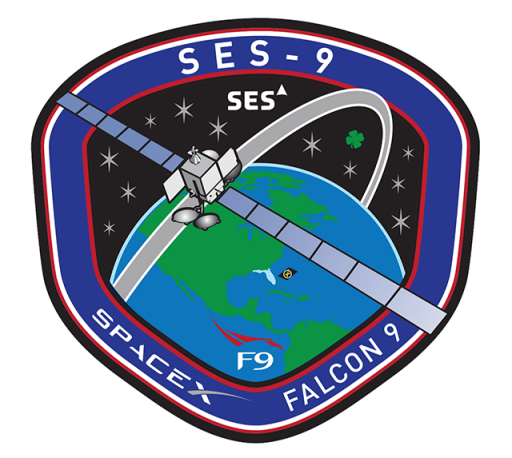 The primary objective of Friday’s mission was the delivery of SES-9 to as high an orbit as possible. 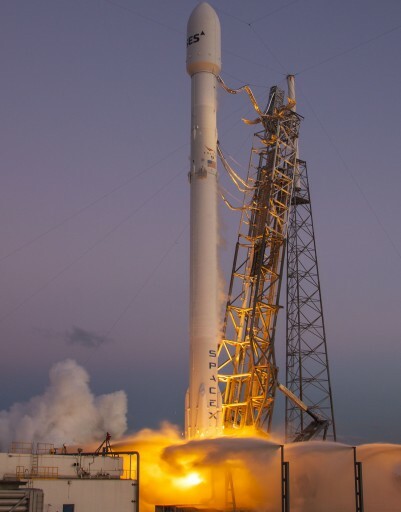 To cut time needed by the satellite for the climb to Geostationary Orbit, SES and SpaceX agreed to modify the shutdown plan for the second burn of the upper stage – allowing the stage to fire its engine as long as propellant reserves would last. This shutdown at minimum propellant residuals was expected to allow the second stage to burn several second longer than in a guided shutdown case which uses conservative performance simulations to program the second stage cutoff target. Planned for a duration of 48 seconds, the second burn got underway at T+27 minutes and 4 seconds. 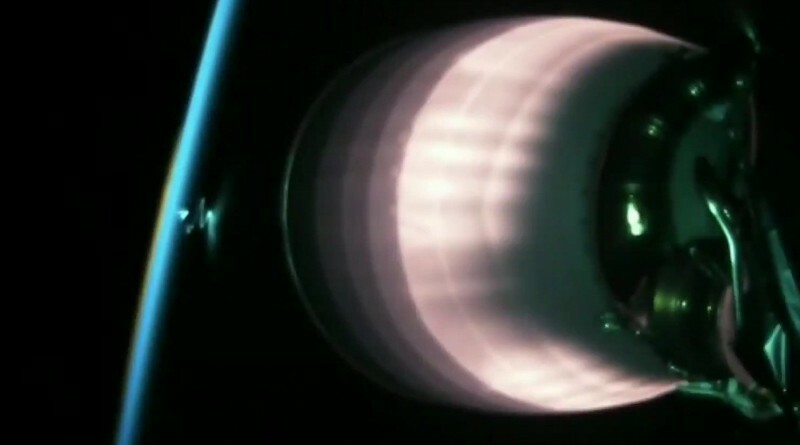 According to data displays shown during SpaceX’s webcast, MVac fired for just over 50 seconds, indicating the stage had more propellant left than pre-launch simulations estimated. The additional 1,300 Kilometers in apogee altitude will be taken advantage of when maneuvering the satellite to its operational GEO slot of 108.2°E. Outfitted with chemical and electrical propulsion systems, SES-9 will first fire its apogee engine to raise the perigee and bring down the inclination before the ion thrusters take over for the final circularization and station acquisition. 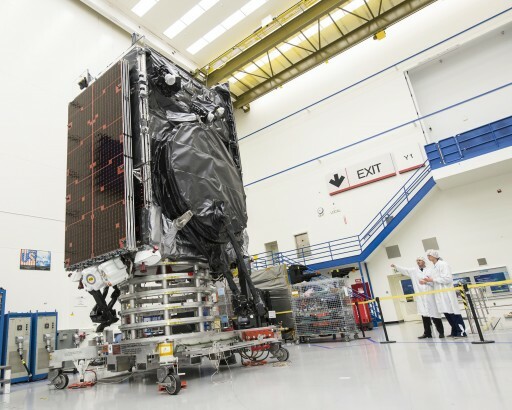 The spacecraft is expected to arrive in its operational position around six weeks after launch to begin checkouts in support of an in-service target of early June. 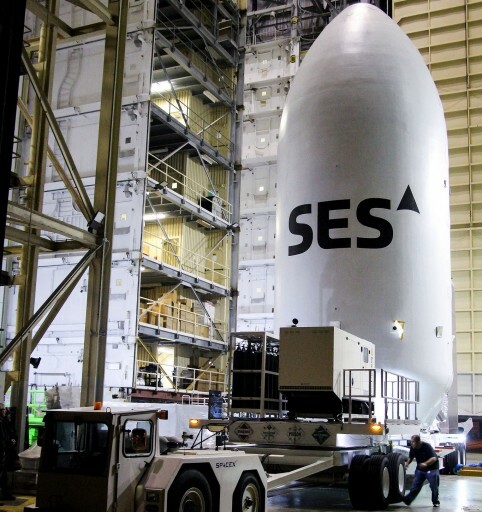 SES confirmed in the overnight hours that SES-9 had checked in with ground stations. 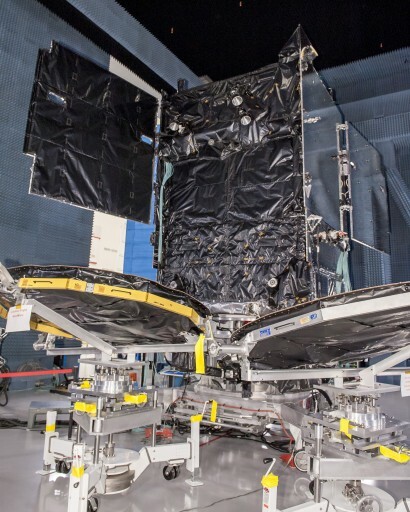 The Boeing-built SES-9 satellite hosts an all Ku-Band payload comprised of 57 high-power transponders, equivalent to 81 standard 36MHz transponders. Reaching Geostationary Orbit, the satellite will be located at 108.2°E to deliver a variety of services to up to 23 million households in the Asia-Pacific Region, serving rapidly expanding TV markets and delivering data, video and mobile communications services. SES-9 also provides mobile communications services with seamless coverage across frequented aeronautical and maritime traffic routes across the Indian Ocean.